Join us as we visit Venice, Italy in this travel guide covering the best things to do, see, experience and eat in Venice with highlights including island hopping, wandering around by foot, eating Venetian cuisine and admiring fascinating architecture. Our visit Venice travel guide covers some of the top attractions including a food guide to local Italian food, top sightseeing tourist attractions and the city by day and by night including visiting cathedrals, canals, ruins and islands. We cover activities you won’t find in a typical Venice tourism brochure, Venice itinerary or Venice, Italy city tour also known as Venezia Italia. We’re taking you on a whirlwind tour of Venice in winter visiting the famed Floating City. Join us as we show you the best things to see, do and eat in Venice. The Vaporetto is Venice’s water bus service. The standard ticket is 7.50 Euros and valid for 60 minutes, the 1 day pass is 20 Euros and valid for 24 hours. The most visited attraction in Venice: Piazza San Marco where there is quite a bit to see and do around the square beginning with St Mark’s Basilica. St Mark’s Campanile, a tall brick bell tower was once used by approaching ships as a beacon to guide them home where you get great views of the city. Then you have the Doge’s Palace, which was the residence of the Doge of Venice, the ruler of the former Republic of Venice built in the Venetian Gothic style. Don’t forget the Bridge of SIghs, whose name refers to the sighs of prisoners who would get their last glimpse of Venice as they were led from Doge’s Palace to their cells. Across to the other side of the Grand Canal, you have the Basilica of Saint Mary of Health and the Galleria dell’Accademia in case you’re in the mood for art. A restaurant we really enjoyed La Zucca – a place where all the dishes are made with pumpkin! The Rialto Market specializes in produce and fresh seafood for self-catering. Founded in the 5th century, Torcello is even older than Venice and was the original settlement in the Venetian Lagoon with lots of walking paths, nature and Byzantine mosaics. Burano is known for its lace work and brightly coloured homes with plenty of restaurants, cafes and shops to browse. Mazzorbo island sits next to Burano and is connected by a bridge while being known for its vineyards and orchards. Murano is renowned for its glass production dating back to 1291 when the glassmakers in Venice were forced to relocate by the Venetian government. Lido is an 11-kilometre sandbar island that shelters the lagoon from the Adriatic Sea with beaches, lots of seaside homes, and this is also where the Venice Film Festival takes place. A restaurant we liked in Venice is Osteria Mocenigo specializing in local cuisine. Try the “Sarde in saor” – a typical Venetian dish made with sardines. While your vaporetto pass is valid ride the canals at night and watch the Floating City come to life. 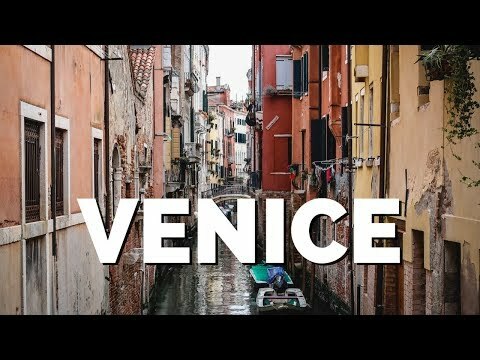 We hope you enjoyed this Venice travel guide and that it gave you a few ideas for your own trip. This is part of our Travel in Venice video series showcasing Venetian food, Venetian culture and Venetian cuisine.